Andrea Watson, the proprietor of Watson European, explains. From full home removals to the individual pieces of furniture, Andrea’s team have the trade contacts to supply boxes, wrapping material and tape to ensure your belongings can be transported in perfect condition. With weekly services to France the Watson European team can deliver the packaging to your door and collect the filled packages at a time to suit you ready for direct delivery to the UK. Andrea continues: “We also cater for those not in any particular hurry to move into their new home in France or who want to put affairs in order first by offering up to 60 days’ free UK based storage. Many clients take advantage of this offer. 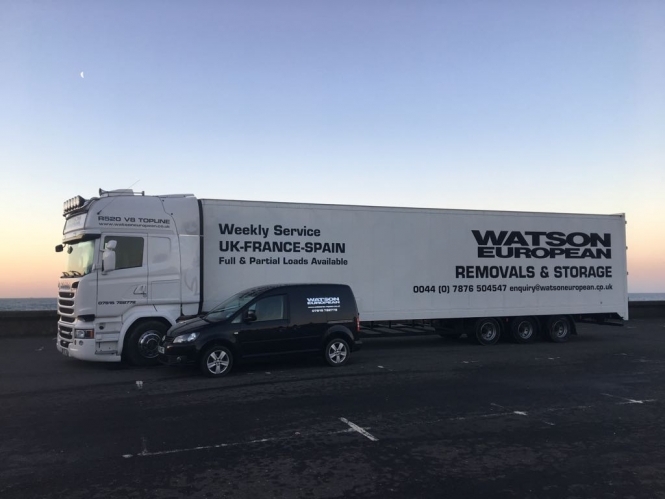 “Also due to the increased demand we have been experiencing, Watson European has invested in yet more specialised equipment to transport vehicles, home removals and even plant and machinery. With Brexit looming ever closer people are taking advantage of our services, both those establishing themselves in France or returning to the UK.